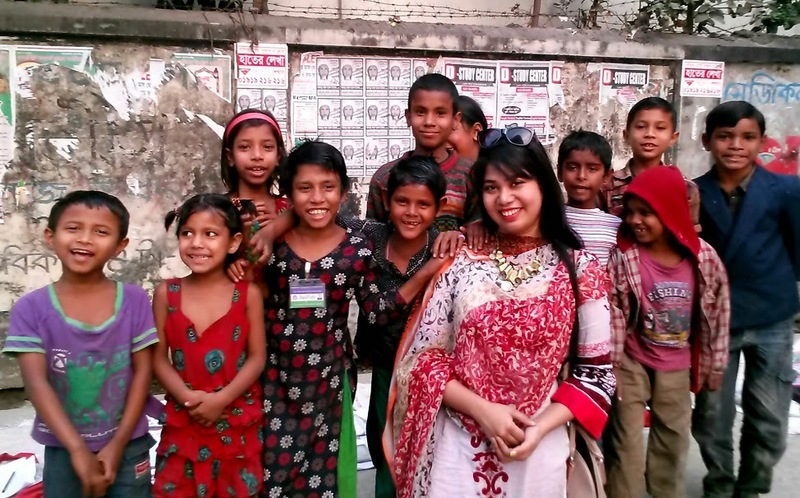 Esrat Karim is the face of hope for many, many girls in Bangladesh. She runs AMAL, which is an acronym for Authentic Method of Alternative Learning, and as a word, also means hope, in Arabic. 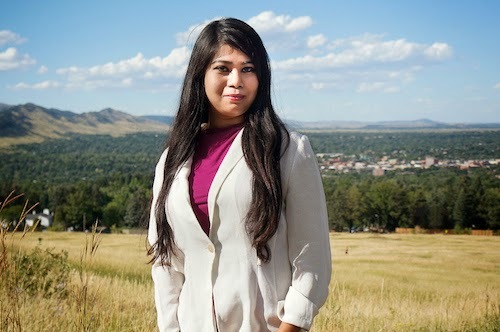 Here is her story as a peace-maker and change-maker, in her own words. I was born and raised in a very small town in Bangladesh. In my community, I was the first girl to graduate from a university. I could have had a job in an MNC (multi-national company) after completing my graduation in finance, but I made a different choice after something touched the core of my heart. I still remember the day. On my way to the University, I saw a very small girl, about three or four years old selling candy on the road. A man kicked her very brutally because she was asking him to buy some candy! I was shocked and discovered that these street children were being treated as though they were vermin. Because I have a four year old niece, who goes to school and can buy any toys she wants, I felt especially sorry for this young girl. I was nineteen when I felt the urge to stand up for street children. I went to the slums and started convincing children to go to school. I also counseled them on life skills. I was able to convince six children whom I taught reading, writing and math. Then eventually more children started joining my learning program. Unfortunately, the path was not straight. I was threatened by the people who oversaw these children to make them beg for money and take drugs. Regardless, I continued to work restlessly and was finally able to build a team to work with me. As a result of this effort, I created my current organization AMAL, which I have been running for the past four years and have taught more than 250 under privileged children. AMAL stands for Authentic Method of Alternative Learning. It also means hope in Arabic. AMAL teaches the basics academic skills such as - reading, writing, math and the like, to the underprivileged children (aged from 5 years up to 14 years) who live in the slums. Most of them are dealing with drugs or involve in illegal activities. We go to the slums convenience them to be literate so that they can manage their living by becoming an asset to the society. We taught mare than 250 children in the past four years. Most of them are now leading to a better life path. Besides, educating and counseling, we help them to connect with free schools. Our goal is to double our students each year as well as ensuring them a comfortable place where they can lean besides having fun. Presently, I am researching and working on my organization to take this initiative to a greater level. My mission is to create an international non–profit organization, which will both provide free education to underprivileged children as well as, set up various learning programs specifically for girls, such as spoken English, computer learning etc. To sum up, my dream is to turn my small project into a giant International Organization, whether by partnership or by sole establishment. To fulfill this noble purpose I am looking for partnership, mentor ship and funding opportunities (as we decided to double our student number each year and this year our target is 500 students .Therefore we need annually $30 for per students.